Chemotherapy is increasingly used in the multimodal management of childhood brain tumors, with the therapeutic goals of optimizing survival and reducing radiation-related morbidity. 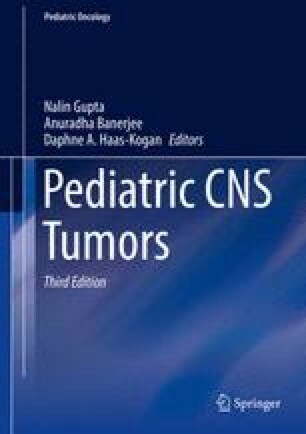 The numerous chemotherapy treatment protocols for pediatric brain tumors reflect the extreme heterogeneity of these neoplasms. For example, in the setting of average-risk medulloblastoma and germinoma, which have high cure rates with radiation treatment alone, chemotherapy is used to reduce radiation doses, yet maintain high cure rates. For infants with malignant brain tumors, who are particularly vulnerable to radiation-related morbidity, chemotherapy has been used to delay radiation treatment. Similarly, in the setting of unresectable, low-grade astrocytoma, chemotherapy can provide prolonged disease stabilization, perhaps allowing for delay or deferral of radiation.